While we are HUGE fans of the prepackaged hot cocoa with those weird NASA freeze-dried marshmallows, we are running a food blog here, not a sad bed and breakfast. So, we decided to (literally) spice up a classic, wintery, sweet treat. 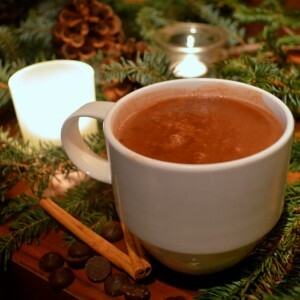 Crush up a Benadryl in your kids’ regular hot chocolate and put them to bed early and enjoy this adult drink by the fire whilst sprawled across a bearskin rug. Feel free to really embrace the Christmas spirit and pour that Bailey’s with a heavy hand. 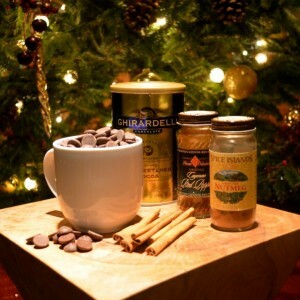 Combine cocoa, sugar and spices in a bowl and mix well. Heat milk in small saucepan over medium heat, do not boil. Whisk in dry ingredients. Simmer, while stirring, until melted and smooth. Remove heat and add liqueur. Serve hot.